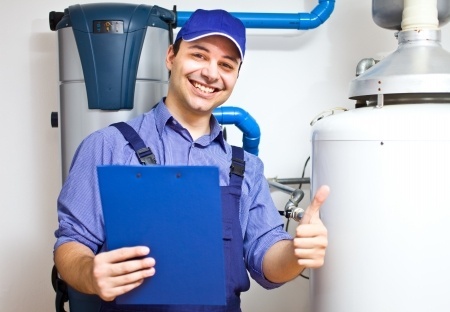 So you need a new water heater but don’t know where to start. 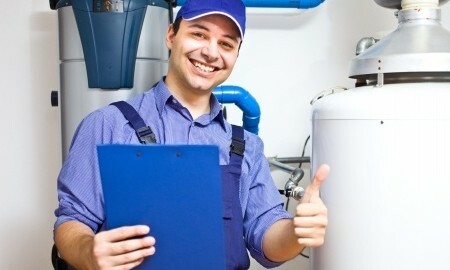 Don’t worry our water heater reviews and buying guide are here to help. Water heaters have come a long way with updated features and a variety of advanced options for anyone looking to switch their old system to a new water heater with customizable preferences. Whether a consumer is looking for a gas tank-type heater or an electric tank-less heater Rheem offers water heaters for all purposes. Rheem Manufacturing Company is a well-known provider of water heaters with many categories that are of high quality and efficiency. Their products are carefully manufactured and tested for excellence so consumers can feel confident that their purchases are top of the line water heaters. When deciding between electric and gas there are many things to take into consideration. Our reviews and buying guide are here to help you find the best water heater for your specific needs. Gas heaters are cheaper than electric water heaters, however they are also less energy efficient. Also, gas heaters have a fast recovery time. Another key issue to account for when deciding which water heater to switch over to is the consumer’s original heater. It may be more expensive to switch a gas heater to an electric and vice versa due to additional installations, therefore many purchasers keep the same type of heater by simply updating their aging heater. To make it easy we have broken down the water heaters into two main categories: electric water heaters and gas water heaters. 1. Professional Prestige Series: Hybrid Heat Pump- This electric water heater is part of Rheem’s Prestige model series. This water heater is their most advanced electric heater and features the highest efficiency of all electric heaters, 2.45 energy factor (EF). This product has fast recovery and also qualifies for federal tax credit. 2. Professional Classic Plus Series: Standard Electric- This heater is a Classic Plus series model only available in the United States. Although it has a smaller energy factor than the Professional Prestige Series, .95 EF, it has an LED system which points out any non-functioning heating elements. 3. Professional Classic Series: Standard Electric for Manufactured Housing- This series has the same EF as the Plus series, and also has Rheemglas® tank lining. This prevents the water system from corroding, ultimately providing it with a longer life. 4. Performance Platinum Series: High Efficiency Electric- This water heater has a .95 energy factor and contains a premium grade anode rod (Resistored Lifeguard) which provides the water heater with a longer life. 5. Performance Plus Series: High Efficiency Electric- This water heater is designed for professionals. It has a capacity of 40-50 gallons and a self-cleaning system which fights sediment build-up. 6. Performance Series: Table Top- This water heater isn’t like the traditional heater, this one is designed to fit in small areas where extra counter space is needed, such as kitchens. This differs from the traditional round and tall design of a normal water heater. 7. EcoSense Tankless Electric 27kW- Another unconventional water heater design, this electric water heater does not have a tank and has a small size that does not require ventilation, removing greenhouse gases from the atmosphere. 1. Professional Prestige Series: High Efficiency Condensing Power Direct Vent- This water heater is eco-friendly, with a low NOx design, and has an easy control system. There is a two-pipe system where the induced draft blower provides a quiet sound. The heater also qualifies for federal tax credit. 2. Professional Classic Plus Series: Powered Damper- This gas water heater is beneficial for consumers who live at high altitudes. It is certified to be compliant with 10,100 ft. above the sea level. 3. Professional Classic Series: Atmospheric- This Classic Series model is an eco-friendly gas water heater which has a low NOx design and comes in a variety of gallon capacities. 4. Performance Platinum Series: Induced Draft- This gas water heater, while only available in the United States, can handle any workload with a 90 gallon FHR. It is also compact, simple to install, and doesn’t require maintenance. 5. Performance Plus Series: Ultra Low NOx- This is one of the safest water heaters available due to its shut-off features and protective control system that turns the system off if it senses any flammable vapor. It also features an extremely low NOx emission. 6. Performance Series: High Demand Power Vent- This heater features a quiet, noiseless system that does not require maintenance with its Maintenance-Free Burner System. 7. EcoSense Mid-Efficiency 95 Outdoor- This gas water heater is tank-less and is efficient outdoors to provide continuous hot water. There are a variety of Rheem products to choose from when deciding on a water heater and as the reviews show each has its own benefits and features. These options include gas vs electric, energy efficiency level, and the proper size. By reading our buying guide of the different Rheem water heaters available you can be confident with your final decision. We hope you found our water heater reviews helpful, but if you have any further water heater questions, call one of our experts at 954-776-9888. No matter which type of heater you select, you can rest assured that your Rheem water heater will be of the highest quality and will satisfy your hot water needs for many years.